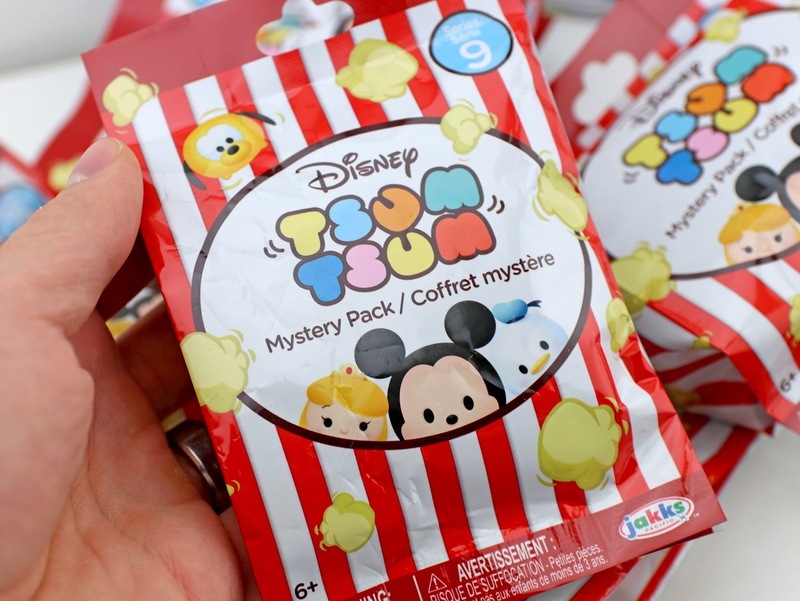 Here's my detailed look at the newest series of Tsum Tsum Mystery Stack Packs by Jakks Pacific—SERIES 9! To be honest, I actually found/purchased these over a month ago at Target and totally forgot to post on them. Whoops! Either way though, I'm super excited to share with you my thoughts on, what I consider, the best series released thus far (maybe because there are more Pixar characters than ever before. I might be biased ;). That's right—there are SO many Pixar characters this time around. 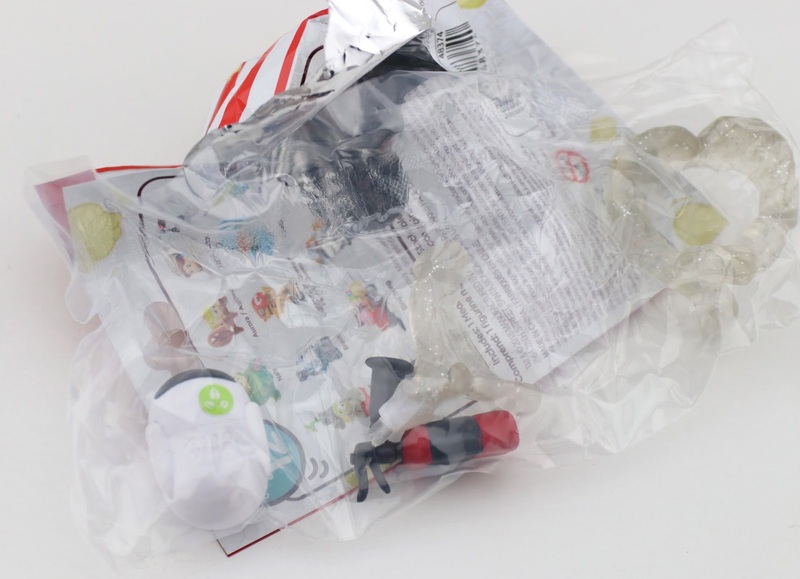 Seven to be exact, which is more than half of this series: Bruce and Darla (Finding Nemo), Wall·E and Eve (Wall·E), Flik (A Bug's Life), Lightning McQueen (Cars) and Bing Bong (Inside Out)! Not only is this an amazing lineup of characters, but they have some of the coolest (and most elaborate) accessories to date. And check it out! 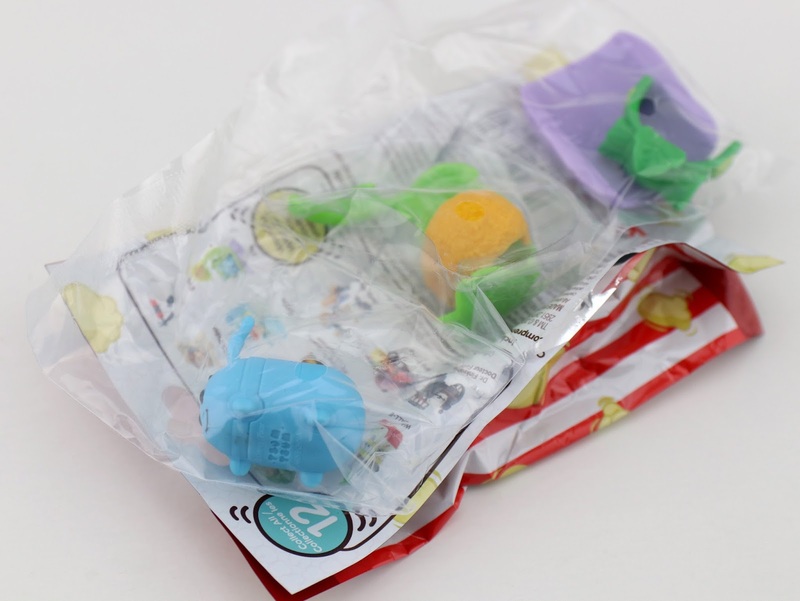 Even the blind bags are larger and completely redesigned. 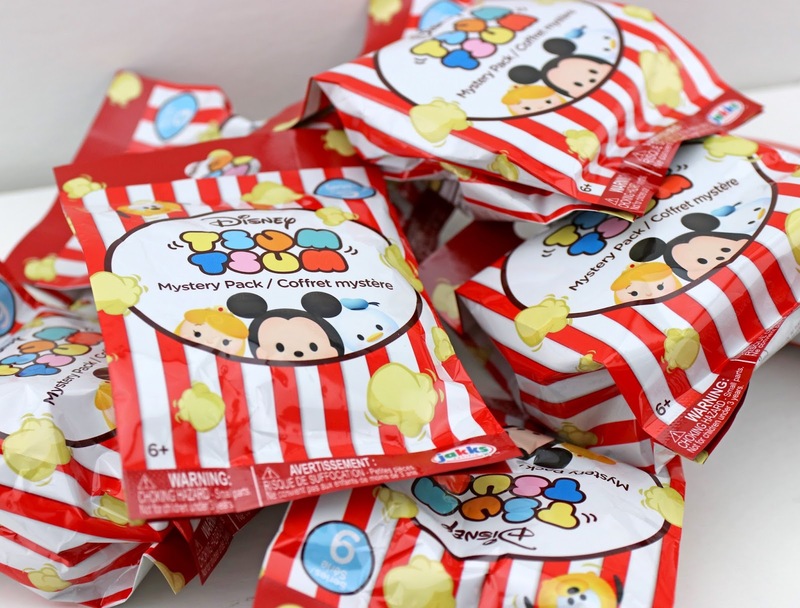 After eight series of circle shaped bags, they've changed it up to rectangle now (made to look like classic carnival style popcorn bags). 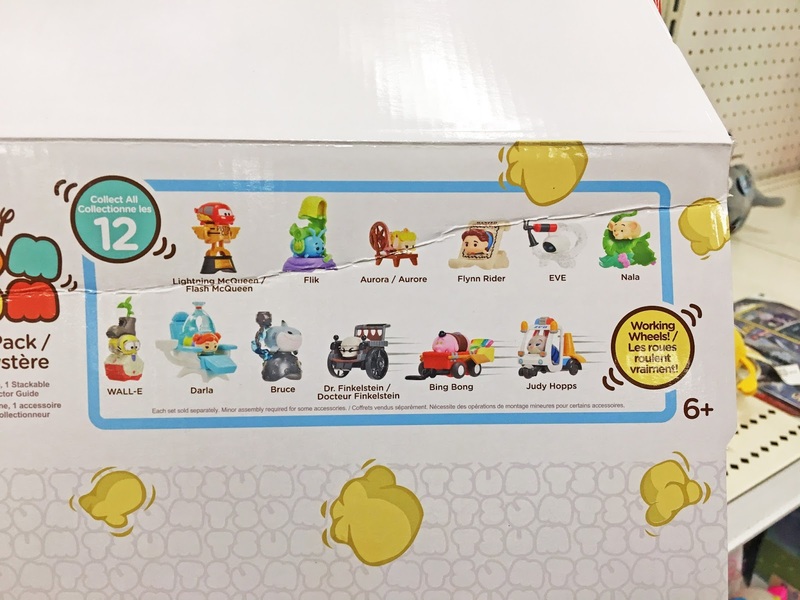 Below is the full case I found at Target last month (Jan. 2nd). As you know, if you've been following along with my reviews of these, I only (of course) pick up the Pixar characters in each series (so I'll only be reviewing those seven today). 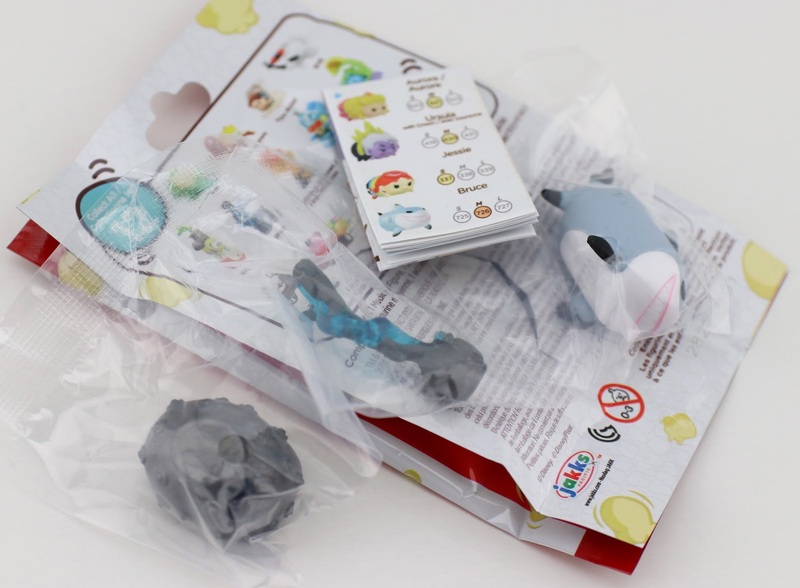 However, below you can see the whole series on the side of the display box! 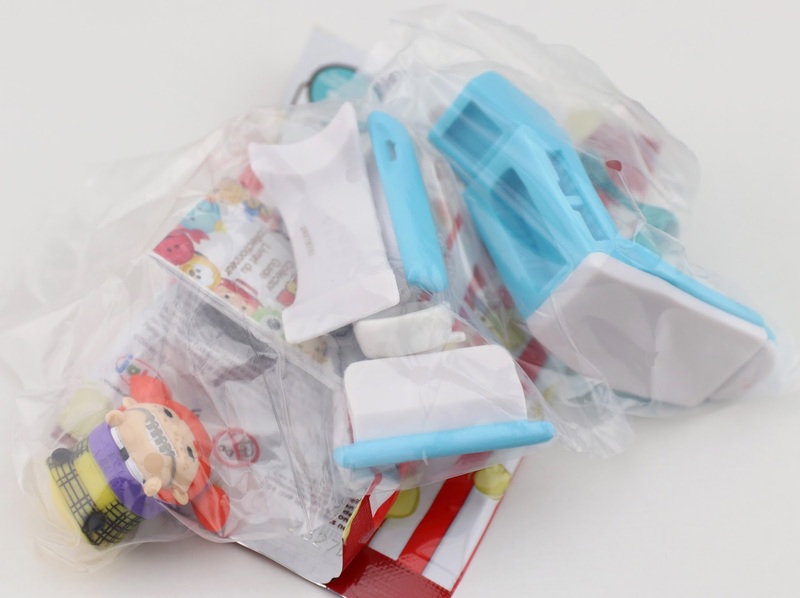 The non-Pixar characters include Aurora (Sleeping Beauty), Flynn Rider (Tangled), Nala (The Lion King), Dr. Finkelstein (Nightmare Before Christmas) and Judy Hopps (Zootopia). 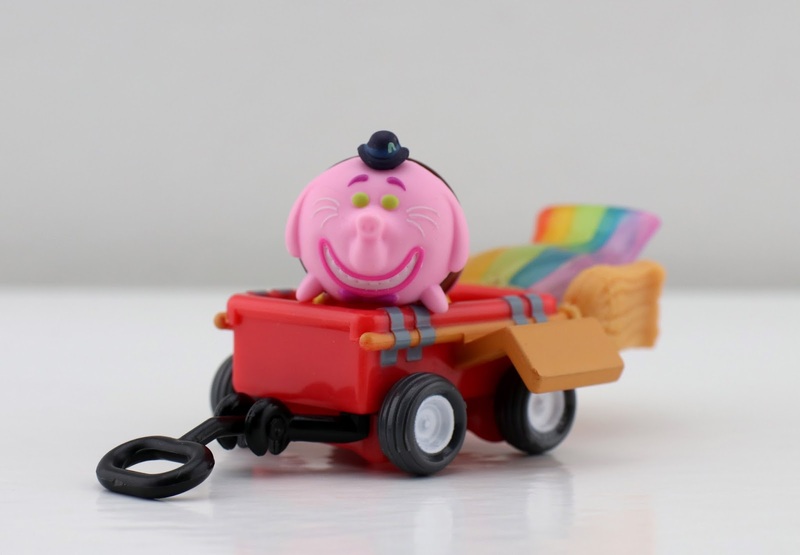 For the first time, the vehicle accessories (included with Dr. Finkelstein, Bing Bong and Judy Hopps) have working/rolling wheels. What a cool new touch! Alrighty, that's plenty of introduction. 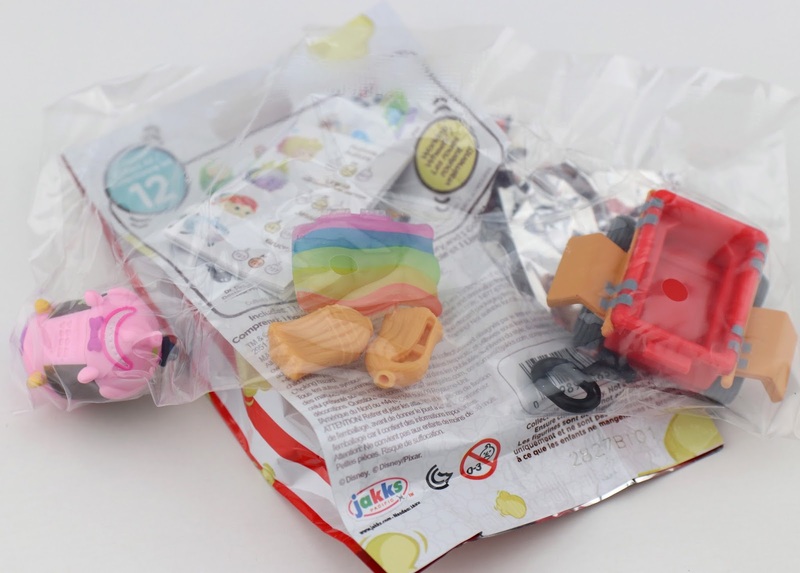 Let's take a closer look at all these amazing characters unbagged and set up! Bruce with sea mine. "Those balloons can be a bit dodgy. You wouldn't want one of them to pop..." Pretty cool! 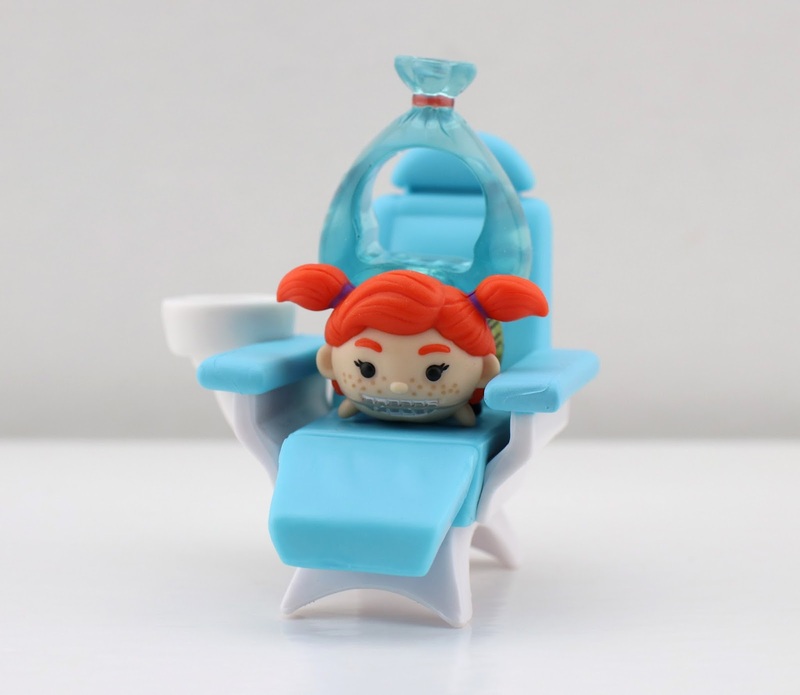 Darla with dentist chair and "plastic baggie" topper (which can hold a smaller Nemo Tsum Tsum figure—sold separately). Including Darla herself, there are six pieces to feel for in this bag. This one is definitely the biggest accessory yet! It also wins for the most hilarious. "FISHY!!" Eve with fire extinguisher base. 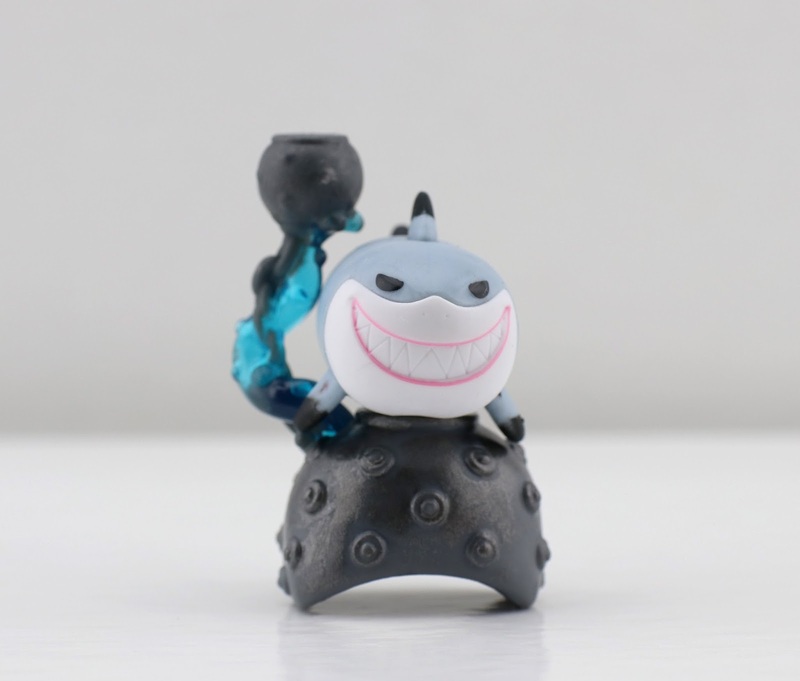 This one is so cool! I love how the extinguisher cloud is translucent, sparkly and forms a subtle heart. Plus it's based off one of my all time favorite Pixar scenes! Wall·E with iconic B&L lunch cooler and boot plant. I LOVE this one. This probably ties with Bing Bong as my favorite of the bunch. And yes—the cooler does open! 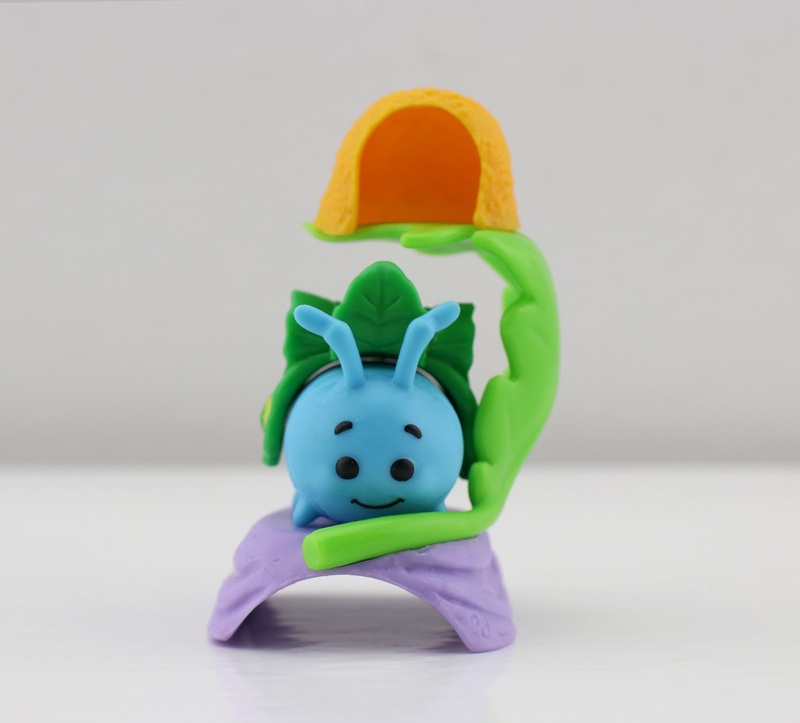 Flik with leafy plant base and shelter for a smaller Tsum. Super adorable! 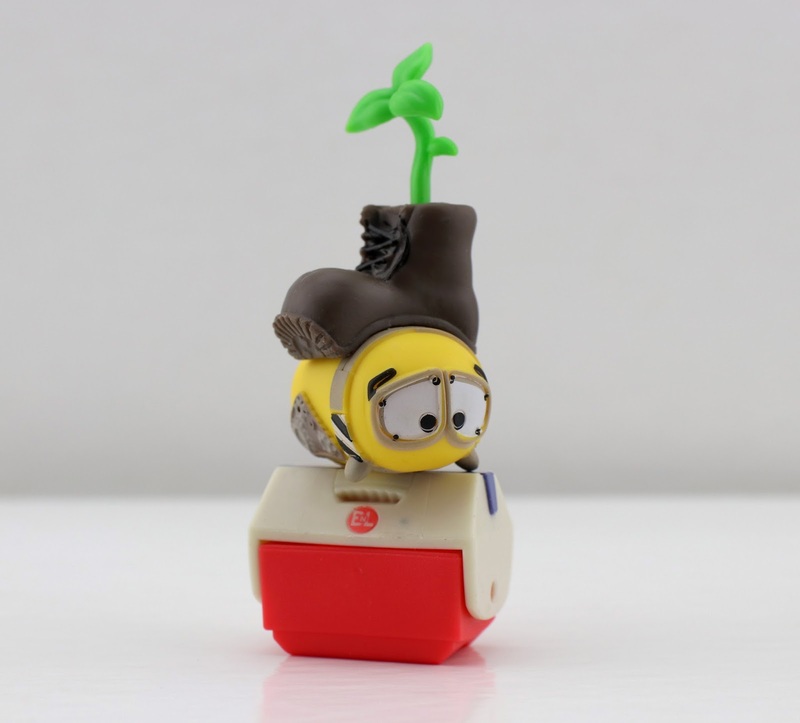 My favorite detail with this one is his leaf backpack/hat topper. "For the colony and for oppressed ants everywhere!" 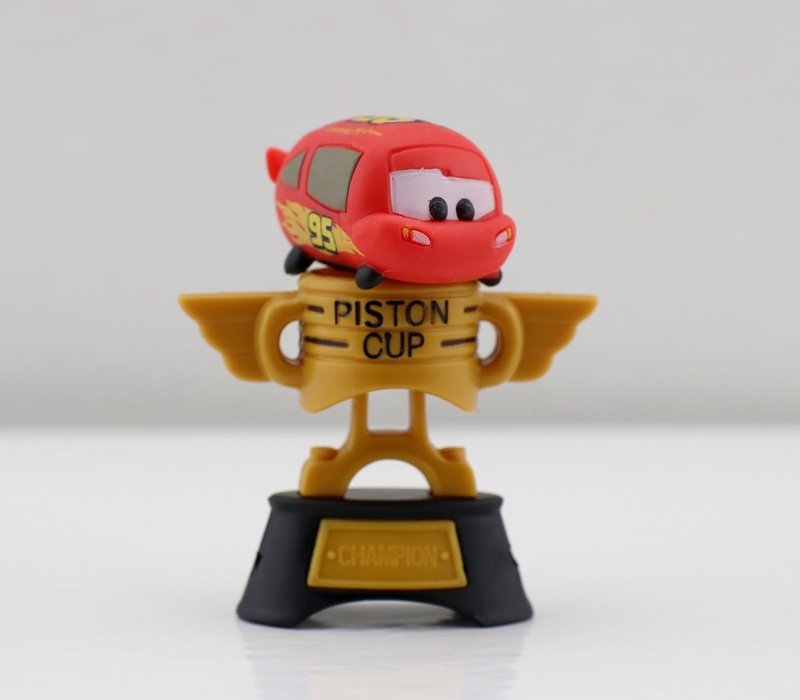 Lightning McQueen with Piston Cup base. I'm a sucker for anything Piston Cup related so this is probably in my top three favorites. "KA-CHOW!" 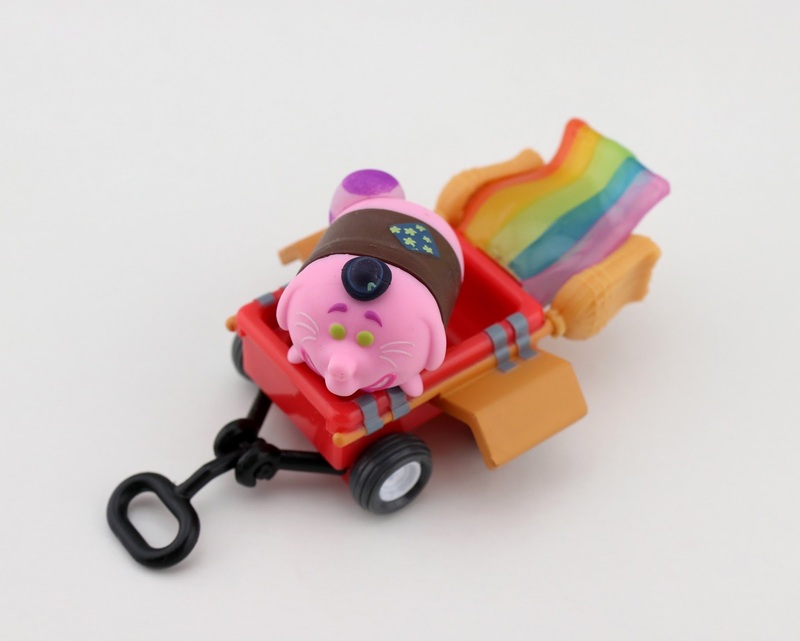 Bing Bong with rainbow flyer wagon. It's a hard choice, but this one might be my #1 favorite! I just love the colors and the design (especially that clever rainbow trail piece on the back). 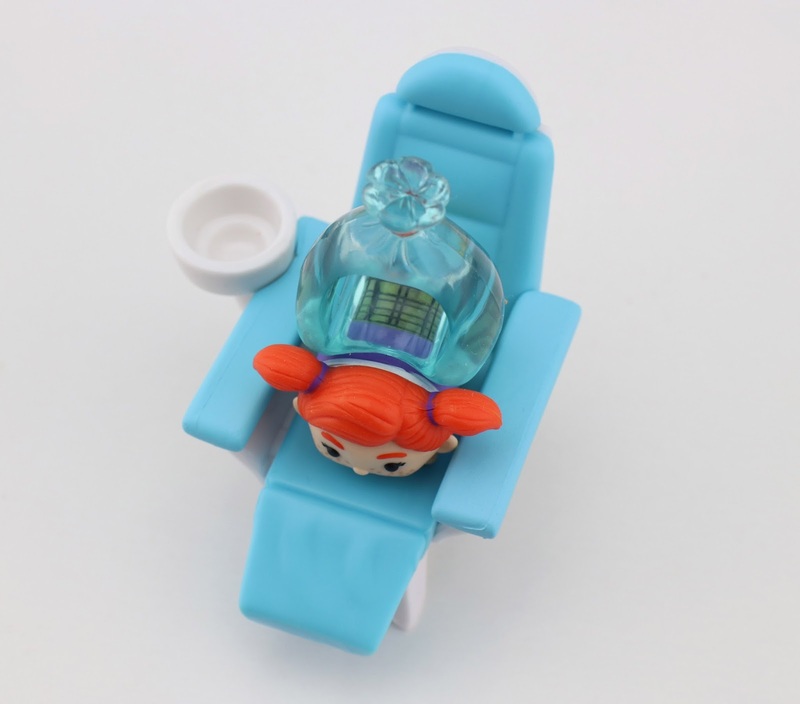 Including Bing Bong himself, this set also has six pieces to feel for. Note- If you missed my posts on the previous eight series, I'd recommend checking those out as well: SERIES TWO HERE, SERIES THREE HERE, SERIES FOUR HERE, SERIES FIVE HERE, SERIES SIX HERE, SERIES SEVEN HERE and SERIES EIGHT HERE. 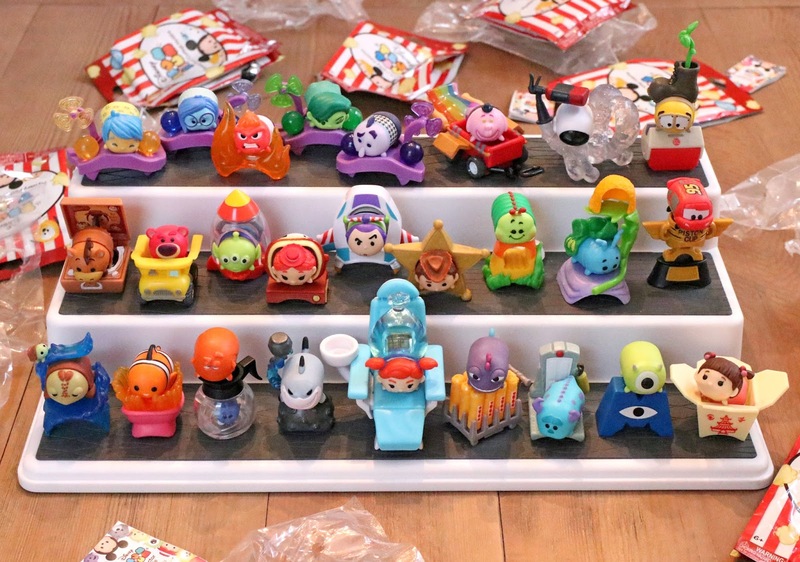 I also included a pic below of all of them together (Again, just the Pixar characters, series one-nine). I'm running out of space! 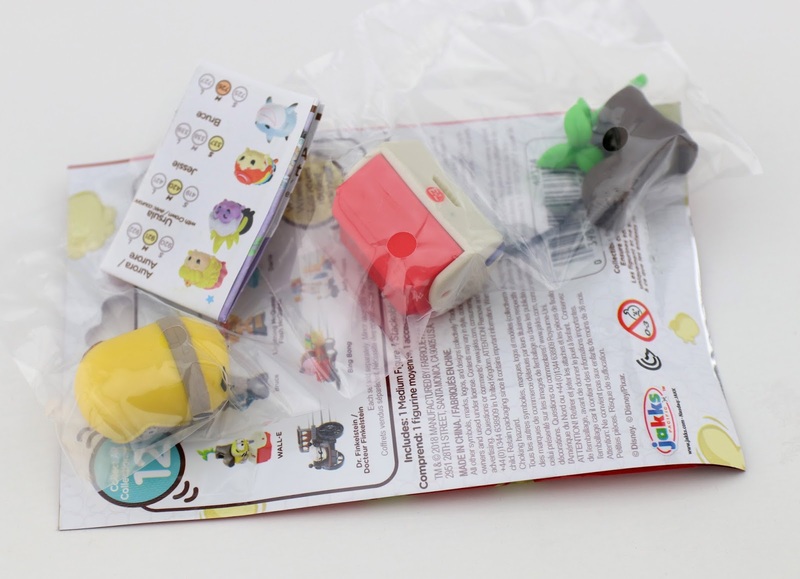 By the way, if this is your first experience with this collection, Mystery Stack Pack Tsums Tsums are always about 1.5" in size and are made of a soft vinyl/plastic material. Each pack retails for $2.99. Best of luck as you try to track down your favorites! 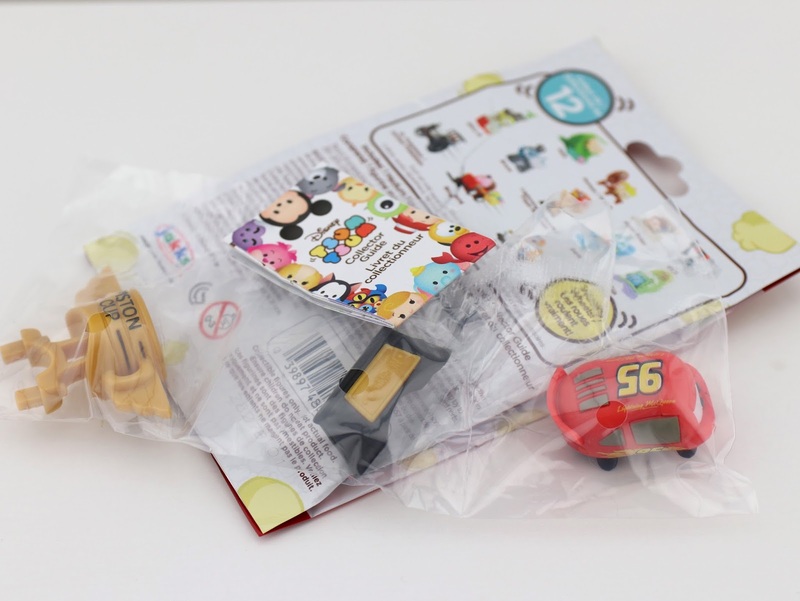 Again, Target and Toys R Us stores are your best bets right now to find them—so head to yours ASAP to check for availability. Let me know what your thoughts are in the comments below. Who's your favorite character from this series? Who do you hope to see in a future series down the road? I love to hear from you guys.